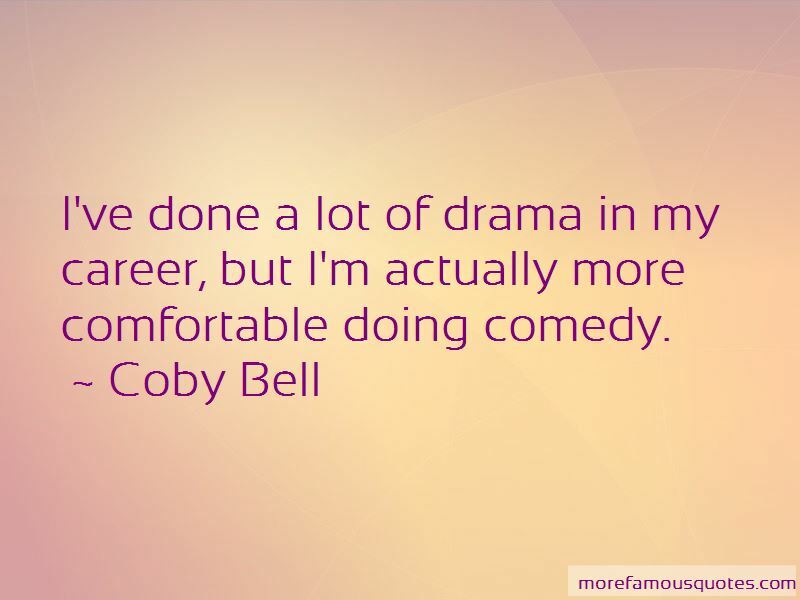 Enjoy the top 5 famous quotes, sayings and quotations by Coby Bell. I've been really lucky to get on shows that stay on. It's one thing to book a show, and it's like winning the lottery again to have it picked up, and then again to have the show stay on the air. 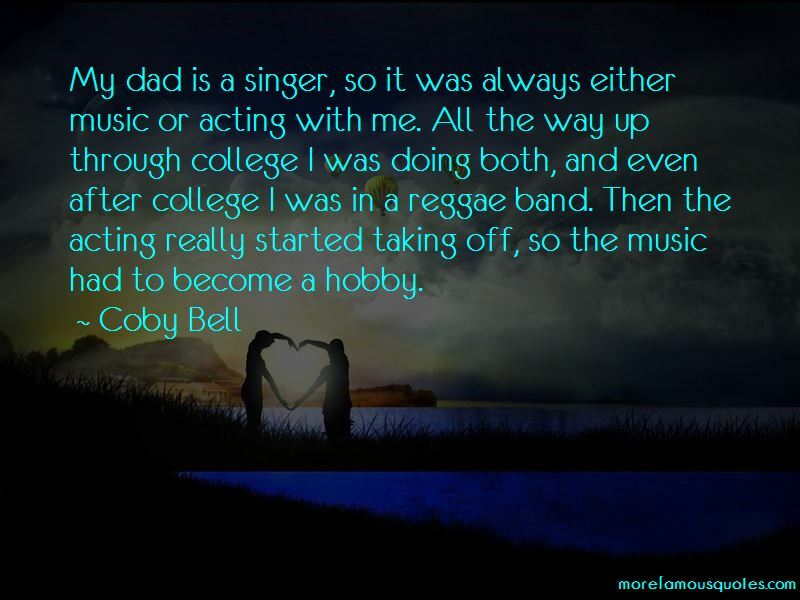 My dad is a singer, so it was always either music or acting with me. All the way up through college I was doing both, and even after college I was in a reggae band. Then the acting really started taking off, so the music had to become a hobby. I've done a lot of drama in my career, but I'm actually more comfortable doing comedy. 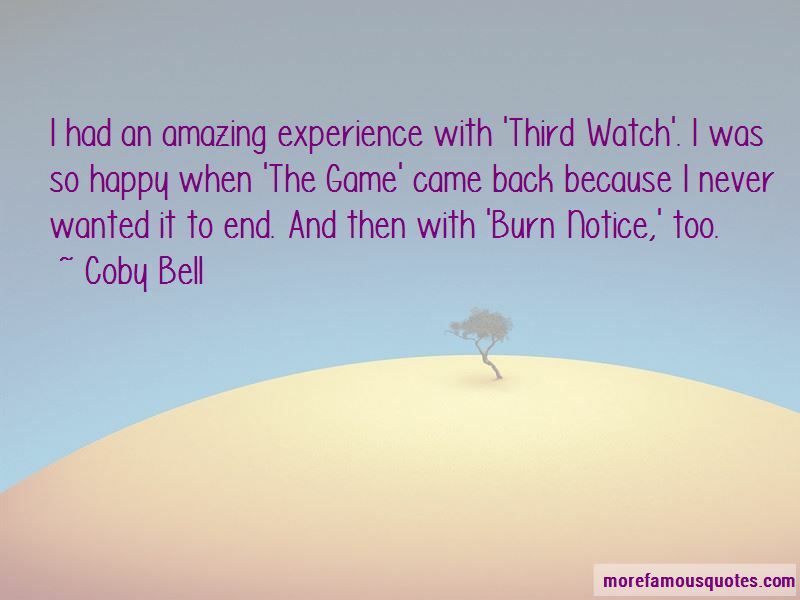 Want to see more pictures of Coby Bell quotes? 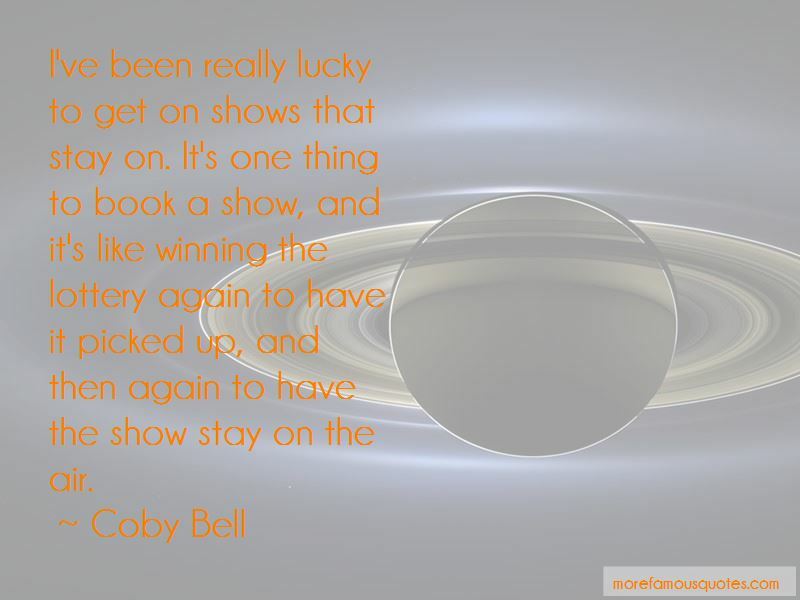 Click on image of Coby Bell quotes to view full size.